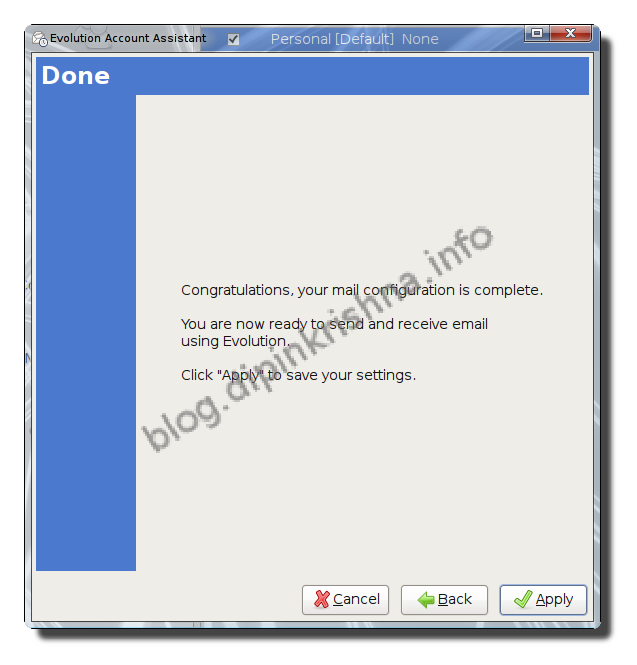 I recently configured my gmail account in Evolution mail on my ubuntu jaunty. 1. 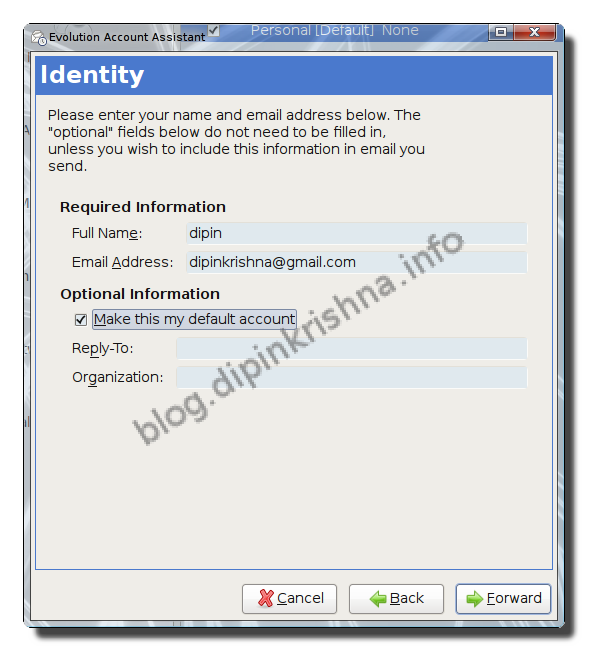 Login into your gmail account. Goto Settings -> Forwarding and POP/IMAP. Enable POP for mail, select the option you prefer. Make sure you select one option to enable POP. 2. Now open Evolution and follow the screen shots. 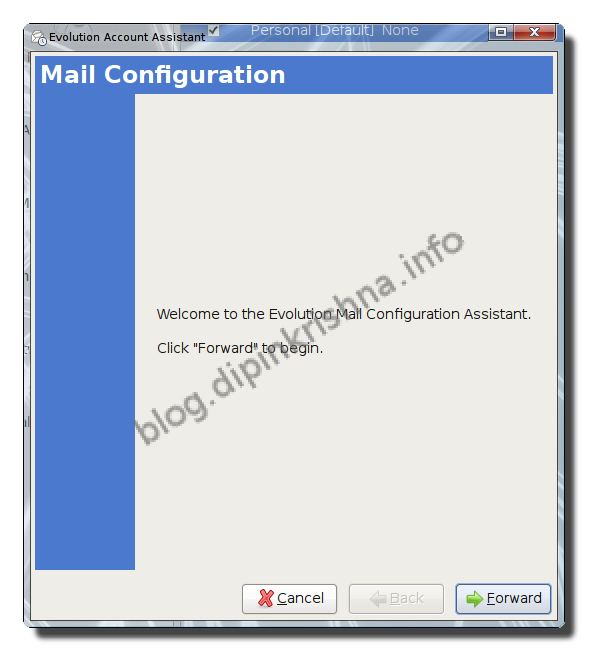 Now you gmail account in configured in Evolution Mail. Thanks man, simply works greatif you could post for hotmail too will be kind of you.